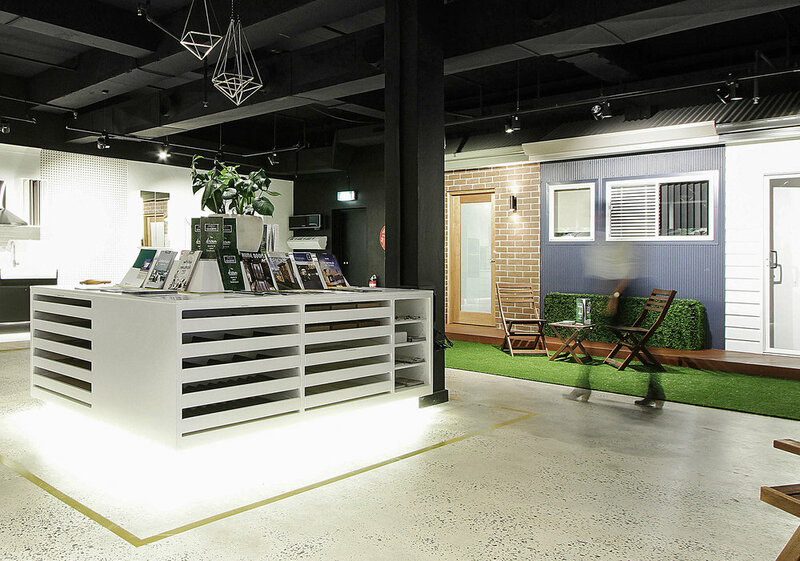 This commercial showroom fit-out in Silverwater Sydney was designed for a residential construction company, to showcase the different ranges and options of their modern day Granny flat designs. The aim of this showroom was to demonstrate its Granny flat exterior and interior designs and finishes. The showroom has a modern, contemporary feel and is seamless and extremely user friendly, for clients when choosing all housing options from the outside facades to the internal housing selections.